There are thousands of gun instructors in the United States. When we began searching for gun instructors that would represent the Gun Owners Legal Defense Network and work out of our facility, there were several criteria that were most important to us. We wanted instructors that had a knowledge of firearms that far exceeded the average instructor. That meant years of experience in handing firearms and also years conveying that knowledge to others. We needed instructors that knew what they were talking about, and that could teach the average person how to defend themselves in a very short period of time. That’s what makes a gun instructor successful. We also wanted instructors that were friendly. Being liked by your students is paramount when the instructor is trying to teach someone about firearms who may have never before even fired a gun. If the student doesn’t like their instructor, they will learn less. We want our students to learn more. At the present time, the Gun Owners Legal Defense Network is incorporating the use of two independent gun instructors, Dave Fadil and Ted Makrinos. Both instructors are active law enforcement officers, and both have years of experience handling and teaching firearms. Dave Fadil is the president of his company, 1st Defense Personal Protection, and works mainly in the northern Ohio area. He uses the GOLD’N facility and classroom for the majority of his classes. Dave is an active police officer, a school resource officer, and also works for the US Marshal's Office. To learn more about Dave, CLICK HERE. 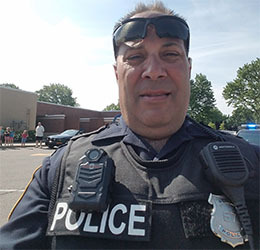 Ted Makrinos is the owner and operator of Protect and Respect LLC, and uses the GOLD’N classroom for his concealed carry and advanced shooting classes. He uses a nearby outdoor shooting range for the shooting portion of his classes. 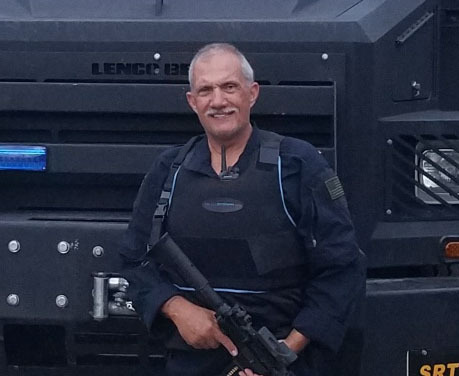 Ted is an active police officer and SWAT team leader. To learn more about Ted, CLICK HERE. We welcome anyone who is planning on taking a class to obtain their concealed carry permit to contact us. We will be glad to schedule you for one of the upcoming classes. Each instructor also offers specialized training and advanced shooting classes for those who wish to advance their knowledge of firearms and to become more proficient when it comes to defending yourself and others with your weapon. We will be glad to provide you with information about that specialized training. Do you have any questions for our instructors? You can call us toll-free at 1-888-317-1676. Or you can send us a message in the form below. Our instructors will be glad to answer your questions.